What is the most unbelievable thing you’ve ever seen at a baseball game? The Contest begins at August 1, 2013 12:00 AM EST and ends at August 2, 2013, 3:00 AM EST. To enter, you only have to comment on the post, and if you win you can message us privately to claim your tickets. As always, you should read our contest rules and regulations. We’re loving the feedback, and we’ve decided to include t-shirt prizes (and potentially some sweet SeatGeek ping-pong balls) for 3 runner-up commenters. Keep sending in more awesome responses! 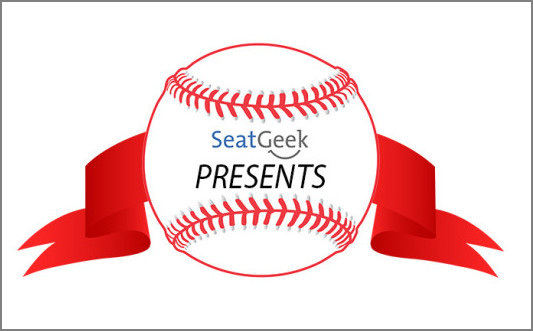 As it says on our About page, SeatGeek is a ticket search engine that makes finding tickets to live entertainment a cinch. We search dozens of the biggest ticket sites and present the results all in one place, with a simple interface designed for speed and savings. It’s 100% free, now and forever.